About two years ago or so the missionaries came to our home to talk with two of my university students. It was a great experience all around, with the students asking questions and the missionaries generally doing an excellent job. It was also great for my children to see missionaries in action. Toward the end the missionaries mentioned modern prophets, and the students asked about them. The elders showed the typical pictures from The Ensign. The students, both female, asked why there were not any women, to which the elders responded that women are not ordained to the priesthood in the Church of Jesus Christ of Latter-day Saints. When the two twentysomething, female college students asked the two, twentysomething, male elders why, one of the elders said that since women are better nurturers and can bear children, men are given the priesthood. This was met with considerable skepticism on the part of the young women. Oh, and I wanted to grab the elder’s words out of the air and stuff them in his sock. Since that evening, I have thought a lot about what I might say to non-LDS friends about why women are not ordained to the priesthood. What follows are ideas I have learned/stolen from others, and if I could find their original sources I would give them credit. The approach includes three elements. The first element of what seems like a wise approach is to not use gender roles or stereotypes as an explanation. Saying that women are one way while men are another, even if those roles are in the Proclamation, is not going to sit well with many non-Mormons. Many people would find this line of thinking sexist. In addition, I think there are two more problems with it. The first problem is that talking about gender roles are not our specialty or expertise. Few of us are sociologist, anthropologist, social historians, or people who have spent the years of study necessary to talk with confidence about issues like gender roles. In this respect I don't think the Proclamation gives us enough foundation or expertise to support that approach. But the second problem for me is that I'm not sure the Holy Ghost will testify, will carry to the hearts of non-Mormons, the idea that women are not ordained because of gender roles. Perhaps that is just my experience, but this does not seem like something that the Holy Ghost will powerfully testify to others. If the first element is to avoid using gender roles as an explanation, something I would feel much more secure talking about are Mormon notions of the priesthood. I can explain that for Mormons, all men twelve and older who meet minimal obedience and commitment requirements can be ordained to the priesthood. This is different from other churches, wherein those ordained must have extensive training. The church's lay ministry means that many more members are ordained and render priesthood service. 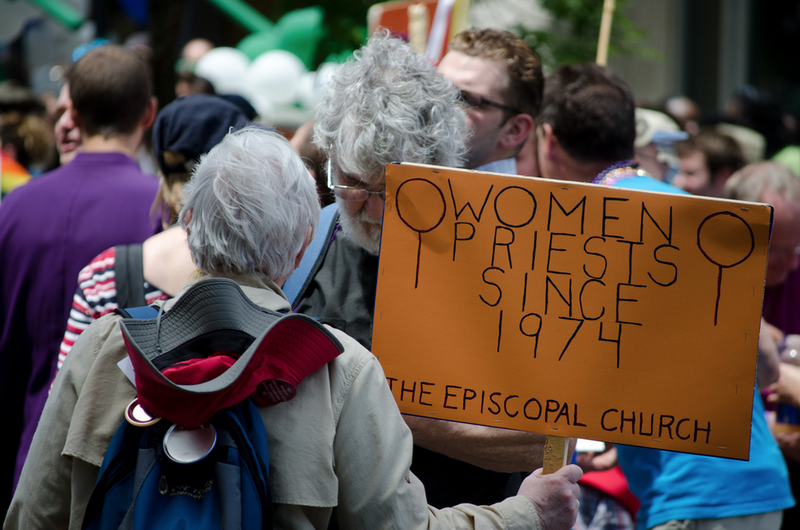 Another part of this element, after the broad scope of priesthood ordination, would be that women in the church do many things that might require ordination in other churches. Women preside over organizations and function as travelling ministers—missionaries; both functions would often require ordination in other churches. The third element, after avoiding gender roles and instead talking about the nature of priesthood in the church, is, for me, the most important part of this approach. It is to invite those you are talking with to attend church and to speak with as many women as possible. As a man, I have essentially no idea what it is like for women to be in a church where they are not ordained to the priesthood. In contrast, there are a wide variety of women who experience and negotiate this situation differently. Talking with those women seems to me as the best way to understand this thorny issue. Each woman is an expert in how she has dealt with this issue, and hearing the voices of so many experts seems like an excellent way to understand it. It also seems like the most faithful way. I say that this is the most faithful way because it shows faith or trust in members, specifically women, and then trust in the Holy Ghost to receive answers to questions related to this issue. Image credit: Tim Pierce (used with permission).